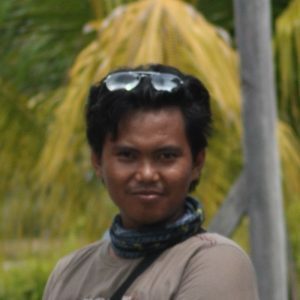 Miftah completed his education at the Department of Forest Conservation and Ecotourism, Faculty of Forestry, Bogor Agricultural University in 2011. After graduated, Miftah working in an institution that actively manage the issue of environmental and social in watershed management National Park Gunung Halimun Salak. Experienced in facilitating community in handling social issues and the environment. Miftah also do a lot of surveys and research in the field of biodiversity and examines the social and cultural conditions in many places.